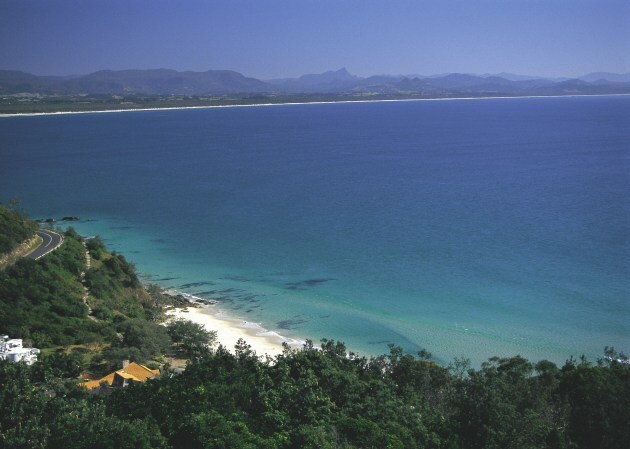 Photo: Byron Bay with Mount Warning in the distance. One of the great stopoff points on the Sydney to Brisbane Trek, or vice versa, is Byron Bay, on the far north east coast of New South Wales. The town itself is a melting pot of cosmopolitan chic, alternative philosophies, beach culture and rather hedonistic indulgence that spreads into the surrounding towns and villages. There’s plenty on offer here from surfing and kayaking with dolphins to a family day at the beach, gourmet dining to fish and chips on the sand, from massages, mud-baths and meditation to cycling, skydiving and hang gliding. There are so many things to do in Byron Bay and surrounds. Diving and snorkelling off the beach or from a boat near Julian Rocks Marine Reserve is a real treat. Byron is the place to learn to surf or try kayaking with dolphins near Cape Byron. There are great walks - the Byron Bay Lighthouse track is one of Australia’s best coastal hikes. Despite it being a popular retreat and escape from Sydney, Brisbane or even Surfers Paradise, for shopping, the streets are jam-packed with galleries and spas, homewares, designer beach clothes, cool cafés and funky juice bars. Byron Bay has always attracted writers, artists and sculptors, making it one of Australia’s premier arts centres. So take time to check out the home-grown fine arts, fashion jewellery and homewares at local galleries and studios. Its a treat to be able to shop for cool beach wear or designer label clothes while on a beach holiday and you will also find fashion accessories and anything else you may need for street, surf, skate, or the beach. In essence, Byron makes shopping hip where visitors can buy the newest bikini, designer denim and sarongs from Australian and international designers. Combined with great markets, there are plenty of opportunities to buy souvenirs produced by creative Byron Bay locals. Throughout the year there are events that attracts fans of jazz and blues to the International Blues and Roots festival, writers and artists to Byron Bay Writers Festival, as well as the annual Fatherhood Festival. This is one of the most dynamic dining locations in Australia, where dedicated chefs using the freshest local ingredients are creating modern Australian cuisine and cosmopolitan blends. Dine at dish for modern European fare or head for Fins, famous for its creative flair with seafood. 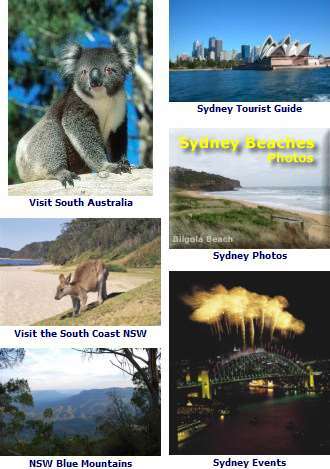 Byron Bay and surrounds has some of the most seductive and comfortable resorts and retreats in Australia. There’s the Byron at Byron Resort and Spa set amongst native wetlands with environmentally sensitive, designer cabins. Gaia Retreat set on a mountain top near Ballina is owned by musician and actress Olivia Newton-John. Its the perfect place to chill out with spa treatments, creative organic cuisine, yoga and other de-stressing treatments. The Arts Factory has budget accommodation and DJ classes, drumming workshops, belly dance lessons and painting workshops. 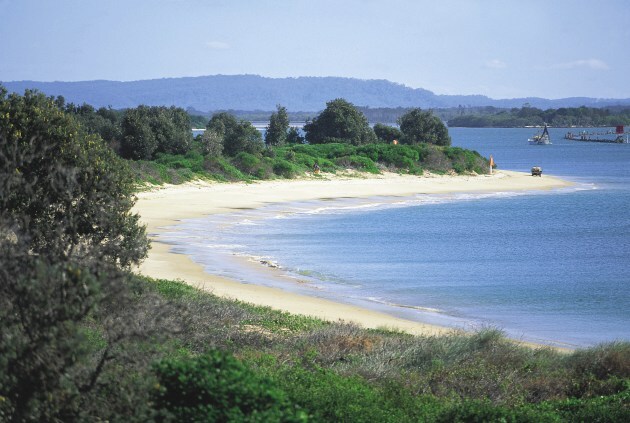 Find and Book Byron Bay Resorts and Hotels Byron Bay NSW Northern Rivers Hotels. Just over an hour’s flight from Sydney, Byron Bay was most recently noted as one of the world’s top 25 sexiest beaches by Forbes Traveller Magazine. Its a ’hot‘ destination and a treat for international visitors looking for that sublime beach holiday. 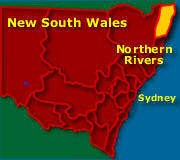 Just along the NSW coast further south, there is a long string of beaches all the way to Ballina, a nsw coastal fishing town. Nimbin and Mullumbimby, known for alternative lifestyle attitudes and ways since the 70s lie in the hinterlands. You can find some great spots for picnics, views and waterfalls by hiking some of the many walking tracks at Nightcap National Park, just further west from Mullumbimby.